This Potato Pancake recipe is super easy. The old fashion way of making them required shredding by hand. 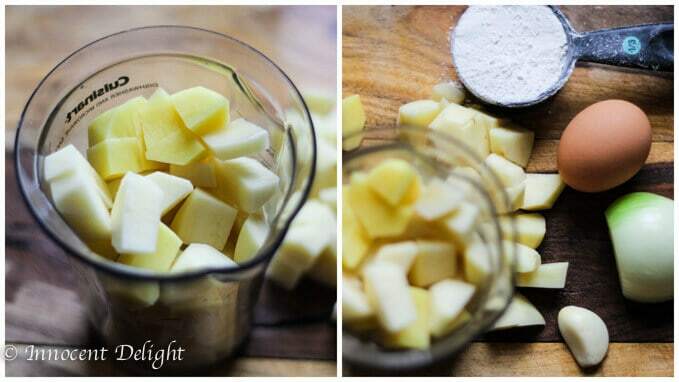 However for this recipe, there’s no shredding of potatoes involved….the blender does the job for you. 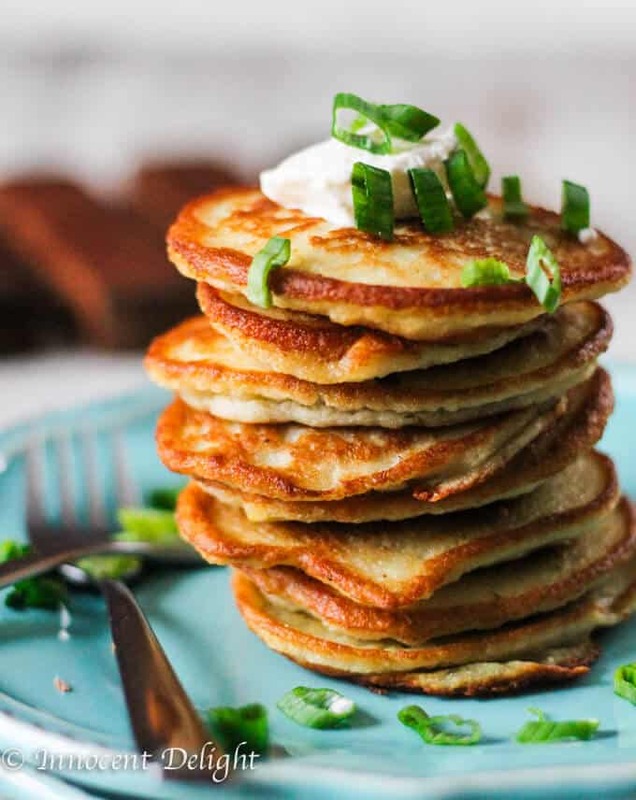 I grew up in Poland where Potato Pancakes (Placki Zimeniaczane) are among the most popular dishes. And I know for a fact that Kartoffelpuffer (German Potato Panaces) and Bramboracky (Czech Potato Pancakes) are equally popular in their respective countries. Every kid I know loves them! Yet, in Poland the kids usually favor them sprinkled with some sugar. Although this is a really popular way of serving Potato Pancakes, it wasn’t really my cup of tea. 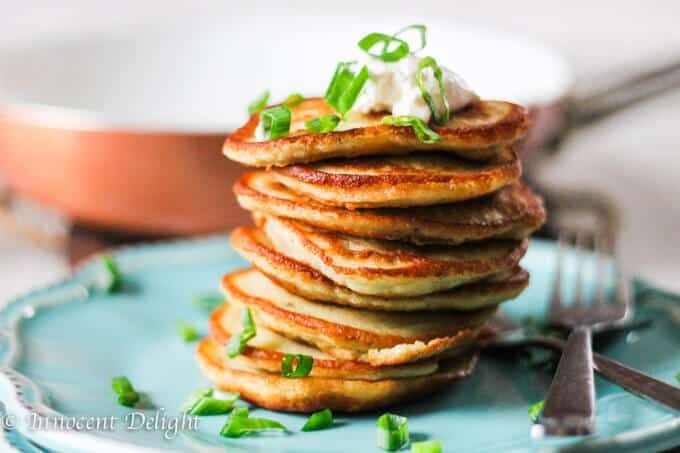 I don’t know why, but I’ve always preferred savory over sweet, so I like my Potato Pancakes with sour cream and scallions. I also love them as a side dish. 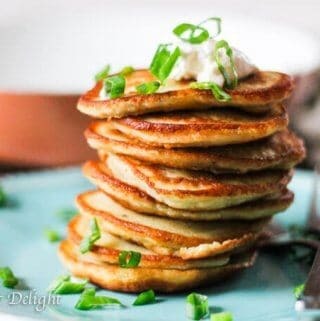 See below suggestions on what to serve these best Potato Pancakes with. The worst part of making Potato Pancakes was shredding the potatoes and the onions and cloves of garlic. It was time-consuming, hard, and also dangerous (you could shred your knuckles). I’ve since found a much easier way to make them. And their taste and texture are still phenomenal. I use a simple blender. And some salt & pepper. 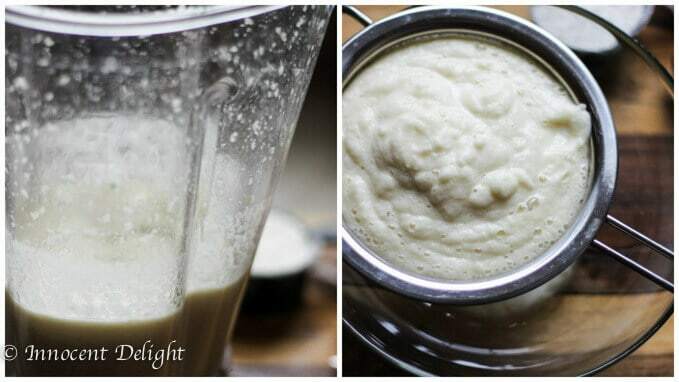 Step 1: Add potatoes to the blender and blend for a few minutes, until they release their juices. Step 2: Then add onions and garlic and blend for a few more minutes. Step 3: Once it’s completely blended, pour the mixture through a thin mesh strainer and let it sit for about 10 minutes. You want to get rid of the extra moisture. Step 4: After 10 minutes, pour the mixture into a bowl and add egg, flour, salt, and pepper, then mix together. Step 5: Heat up a little bit of oil in a pan and fry up a test pancake. Sep 6: Flip it and fry it on the other side. Step 7: Then take it out and place it on a paper towel, dry out and taste it. 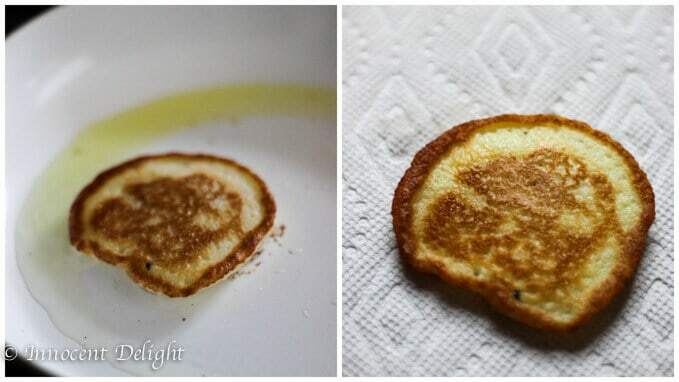 If the pancake needs more salt or pepper, you should adjust seasoning and fry up the remaining pancakes. And here they are…beautiful, golden brown, scrumptious Placki Ziemniaczane, Kartoffelpuffer, Bamboracky or Potato Latkas. Can you resist them? What to serve Potato Pancakes with? Pork Chops in Creamy White Wine Sauce. Frying pan (affiliate link), to fry up your pancakes. 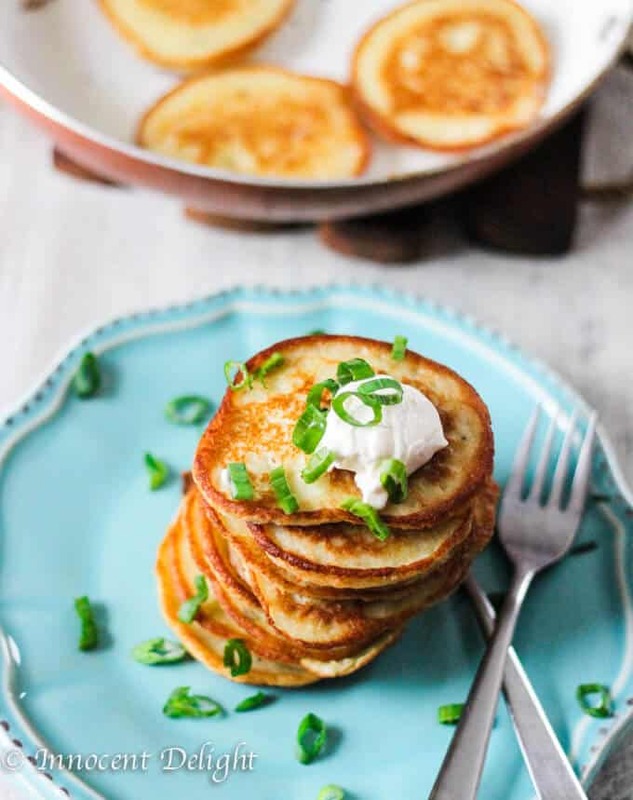 These European Style Potato Pancakes are a very popular dish across Europe. In Poland, they are known as Placki Ziemniaczane, in Germany as Kartoffelpuffer, in Czech Republic Bramboracky as well as in every Jewish deli, known as "Potato Latkes". This Potato Pancakes recipe is super easy. The old fashion way of making them required shredding by hand. There is no shredding of potatoes involved. The blender does the job for you. From this recipe, I made about 10 pancakes. I calculated per person as a serving. If you need more, double the ingredients. This post was originally published on March 6, 2016, and since then was updated to provide additional information. My mom use to put something in the spuds so they didn’t darken, do you know what that is? How many spuds equal 3 cups of spuds. She use to fry them in bacon grease. She couldn’t fry them fast enough for us. Do you have a recipe for cabbage soup? 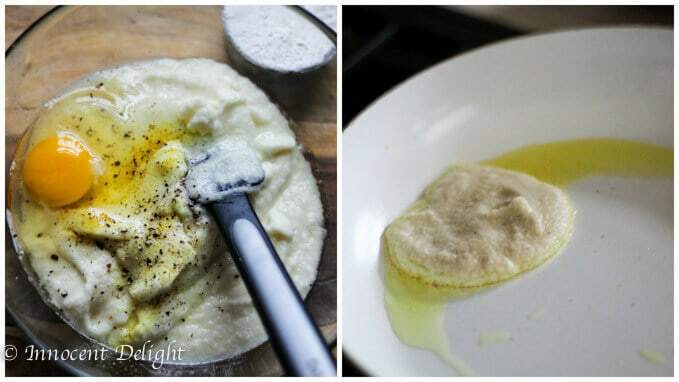 These look wonderful and I will definitely be making them for dinner tonight! Thanks! What kind of potatoes should be used? Hi can i freeze the potato pancakes? You can freeze them separated on a baking sheet. Once frozen you can transfer them to sealed bag. They should be eaten within 2 weeks though. I’m new to cooking. Do you cook the potatoes before putting in blender?